Our friend Susan was spotted at the fair with her LarsenGeekery Shoulder Bag! 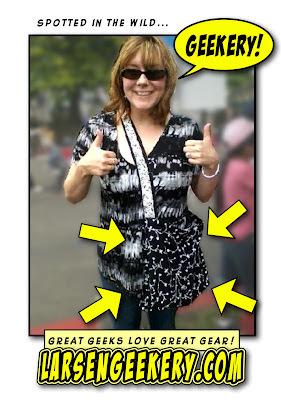 You can get a 100% hand made in the USA Geekery Bag like this one at our Etsy Store. Are We Not Geeks? We Are Devo!